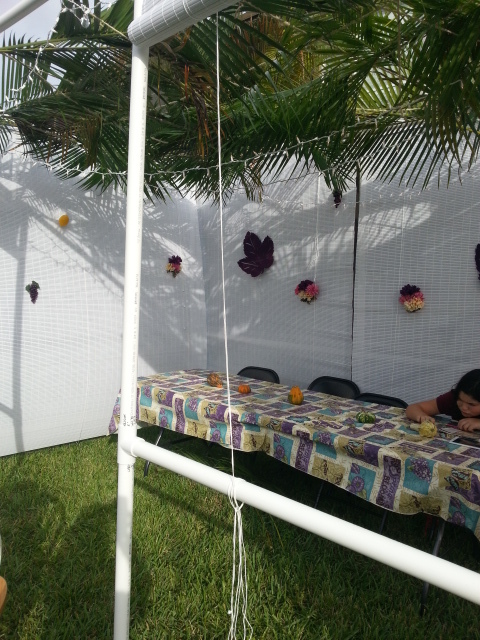 I hope you don’t mind that this week is focused on sharing our sukkah experience with you. It is something I would encourage everyone to participate in, whether building your own or joining someone in theirs. 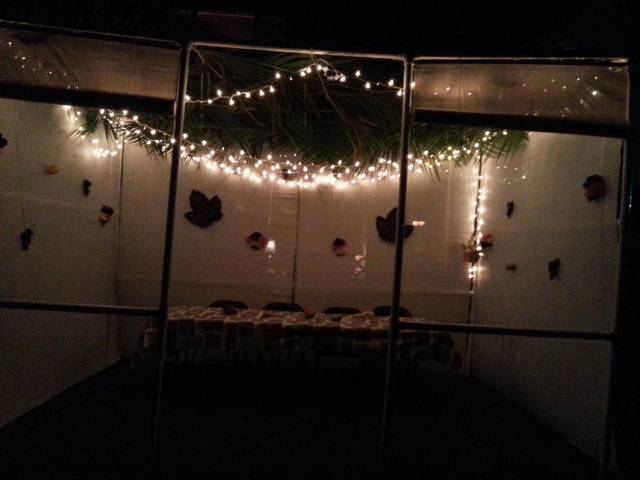 So, with all the building behind us, it was time for Angelina and I to decorate the sukkah. We hung lights and dotted the walls with flowers, fake fruit and big purple leaves. 🙂 Is there any other color? Angelina did her homework while I sat back in awe of the beauty of God’s commandments. We purposely left the walls a bit bare. 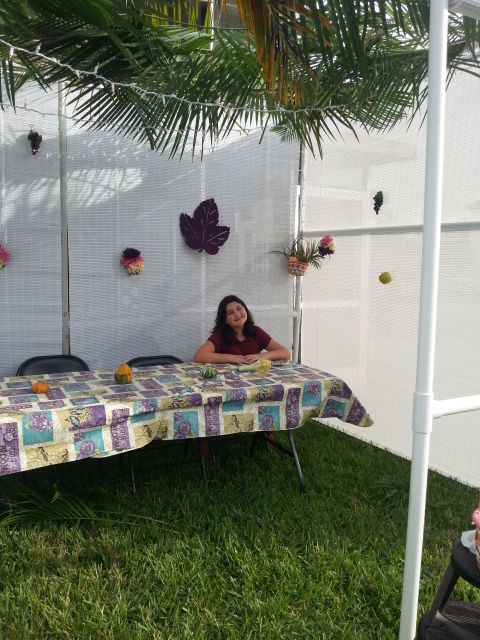 We invited a lot of people over during this festival and want them to bring decorations to add to the sukkah. Why? Because we are family, and this sukkah is as much theirs as it is ours. Our first night was spent eating a magnificent meal, waving the lulav and etrog, and praising God for all His provisions. On Thursday night, I spent dinner alone – just me and the Lord. It was a beautiful time. Praying the prayers and the Grace after the Meal. At one point, I heard a car pull up and a little girl get all excited, “Look, Mommy, Christmas lights! What is it Mommy?” I didn’t hear her mother’s reply, but could only hope the Lord planted a seed in that family that would grow and multiply. May this season bring you joy inexpressible as you focus on the Messiah tabernacling with His people. Shalom! Shalom!